Our each product is kept in line with quality standards and is quite innovatively brought about. 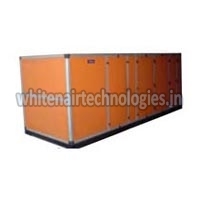 On such lines, we bring forth an array of excellent quality Air Handling Units for the countrywide market. 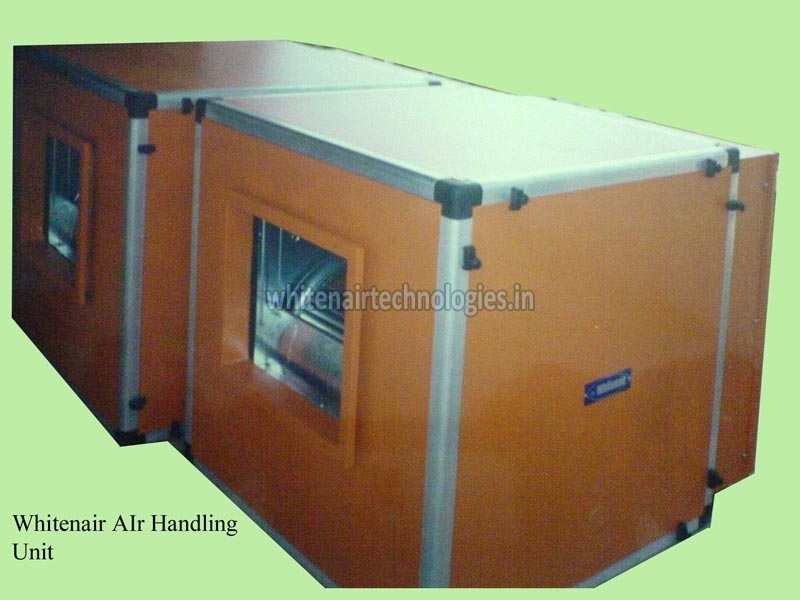 We are often called the best Manufacturer and Supplier of Air Handling Units. These units take care of the comfort level in the best way possible. And their quality is ensured to be high. Variable dimensioning features for flexible cabinet sizing. Externally and Internally Epoxy powder coated Finish. Variable coil casing and drain pan material. Face and by pass dampers. Variable fan selection include forward-curved,backward curved and air foil. Frequency inverter (VFD) and thermistor. Energy recovery section –Heat recovery wheels. Self supporting type with pre painted Double skin modular PU panels. Frame work is made of High strength extruded aluminum pent post, internal post and nylon composite corner piece. 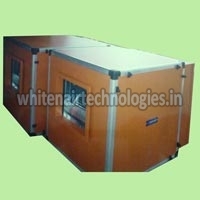 Whitenair AHUs are designed to High end perform with no Air Leakage and minimum Heat loss hence low operational cost.